Watch Student PSEA President Marie Hutchings talk about what to expect at this year's conference. Registration for the 2018 Student PSEA Conference and Convention is now open! This is the most exciting event for aspiring educators – you won’t want to miss it! At our conference, you’ll hear from inspiring educators who are changing the lives of their students, including our keynote speaker, 2017 Pennsylvania Teacher of the Year Mike Soskil. You will also have the opportunity to change the lives of children in the Tyrone Area School District through our Outreach to Teach community service project. Through a variety of elected leadership positions, you can enact your own change in your association, and strengthen yourself for a future as a professional educator. Connect with fellow Student PSEA members from across the state to learn, grow, and make a difference. To learn more and register, visit www.psea.org/studentconference. 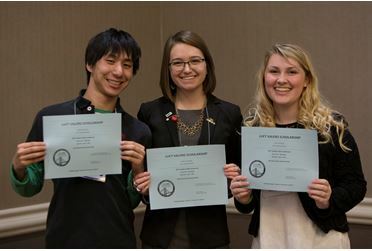 Check out Student PSEA President Marie Hutchings' latest blog for more information about this year's conference. The Every Student Succeeds Act (ESSA) has given Pennsylvania a once-in-a-decade opportunity to reshape public education in the commonwealth. Gov. 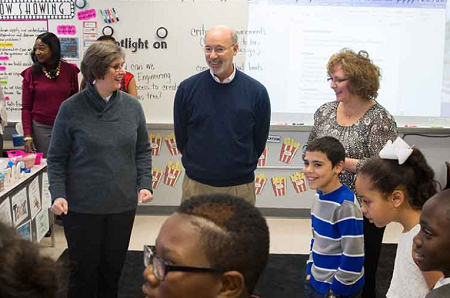 Tom Wolf's administration has made good use of that opportunity, working closely with PSEA members and other stakeholders to develop a comprehensive, forward-thinking state ESSA plan. On Jan. 17, the U.S. Department of Education approved the plan, setting the stage for the state to fully implement it during the 2018-19 school year. The plan uses multiple measures of school success, shifting the focus to students and using standardized tests in a more balanced way. It also ensures the public sees a broad spectrum of information on how a school is performing. To learn more about Pennsylvania’s plan, visit www.psea.org/essa. Kudos to the 2017 Lucy Valero scholarship winners. 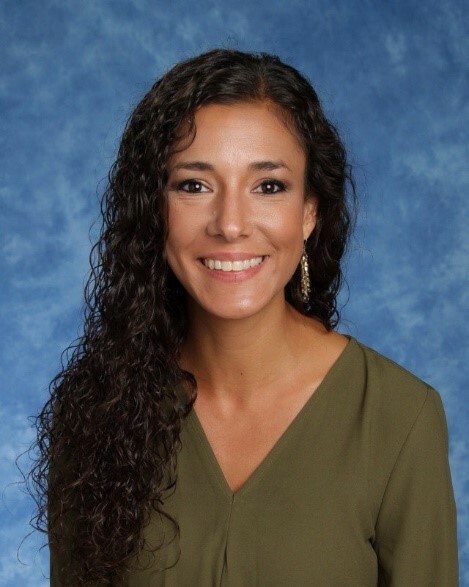 These students are working toward their dream of becoming professional educators and they got a little financial help from the Lucy Valero Scholarship. This could be YOU! Applications must be postmarked by Feb. 15, so don’t delay! Visit www.psea.org/valero for more information. This issue’s spotlight is on YOU. You’re working hard, studying to be the best educator you can be. You’re involved in your association and other clubs on your campus. You’re a leader that others look up to. 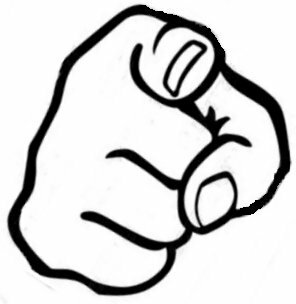 Student PSEA needs YOU to shape the future of our association. There are many opportunities to share your talents and grow as a leader. You can serve at the region or statewide level, and even represent Student PSEA at national events. To learn more about the opportunities to lead in Student PSEA, visit www.psea.org/studentconference. Elections will be held at the 2018 Student PSEA Conference and Convention. Questions can be directed to students@psea.org.